Viola playing nowadays is considerably more specialised than three or four decades ago. When can I change to the viola? This question may be asked at any stage by a student who is learning the violin and is not satisfied with their endeavour! This decision may be taken when they have reached the level of grade seven/eight violin Associated Board or Trinity. It is at this level of instrumental maturity that they find that their musical ‘inner voice’ has changed, favoring a lower pitched instrument. How to play the viola and move on from the violin will fall squarely on the shoulders of the teacher, and whether they are capable of handling the transition. Physically and aurally the viola may offer an easier passage of learning if the student wishes to develop their playing into something more advanced and permanent. Playing viola nowadays offers far more opportunities for students and young professionals. Unlike the violin, the viola can dramatically vary in size and tonal quality. The smaller viola or ‘alto’ may sound brighter, whereas the larger viola or ‘tenor’ will usually sound darker in character. Playing the viola to a competent level, as indeed with many other instruments, will take a certain amount of commitment both from the student and their parents. 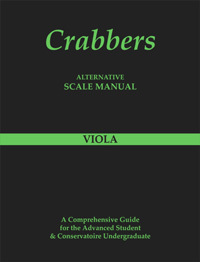 Seeking the right teacher who can further develop viola techniques is extremely important. A highly skilled teacher will soon evaluate a students potential and should advise accordingly. Playing viola can become more time consuming. Changing instruments may have immediate consequences with more opportunities becoming available with orchestras and chamber music groups needing a violist. At this point they may experience a sense of achievement with the viola which they may not have experienced with their violin studies. This is due to all aspects of the viola suiting them more easily! Viola repertoire has substantially expanded over the last hundred years. With the proliferation of quality and highly technically accomplished violists. Composers have gravitated towards the instrument further expanding the repertoire. This has increased the performing opportunities and awareness of concert going audiences. Playing the viola can become more time consuming and may even become a way of life for some students. They may experience real quality and achievement with the viola which they may not have experienced with their violin studies. There comes a point when career decisions have to be made. Do I play viola or not professionally? This decision is usually never taken lightly and parental and financial support for regular lessons is crucial in deciding this plan of action. These factors alone determine whether the student has their viola as a hobby or if they take the option to become a professional instrumentalist, should they show sufficient interest. At this point playing the viola will become their main focus in life, and later a means of earning an income and become their vocation in life! This decision to play viola or not to play viola professionally, particularly in the current economic climate is not one to be taken lightly. 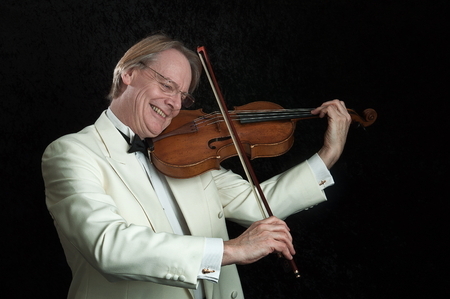 Are you looking for a highly experienced viola teacher? Or are you looking for viola music lessons online?